It’s an obvious question that I’ve avoided answering for two reasons. First, the Society is about celebrating happiness, not telling people how to be happy. Second, there isn’t a simple answer. Of course, as a mostly happy person, who’s studied happiness for the past two decades, I have developed what I consider are the secrets to happiness — or at least, the secrets to my happiness. Recently, I was interviewed several times about a study by Gallup and Sharecare of 2.5 million Americans that shows, despite a robust economy, people are unhappier than they’ve been since 2009—the year that unemployment hit an all-time high during the Great Recession. That study and the Society’s 20th Anniversary — or birthday as I think of it — has inspired me to share my Four Practical Happiness Principles. 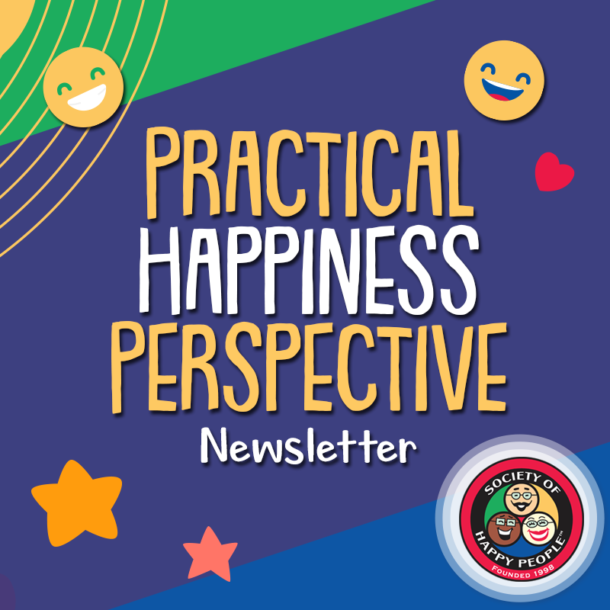 So, what is practical happiness? Practical happiness helps people discover realistic happiness. We all know that we aren’t going to be happy all of the time — even if we want and try to be. Life happens, and it’s not a happiness only experience. Of course, that also means we aren’t wired to be unhappy all of the time. Studies show us that people who consider themselves mostly happy, and those who consider themselves mostly unhappy, experience a similar number of unhappy, stressful, chaotic and annoying experiences. So, what’s the difference in how happy and unhappy people rate their happiness? It’s how they react to similar happiness zapping experiences. A friend of mine was going through one of those abundantly stressful times. She had lots of big life changes happening all at once — job, marriage, and parental caretaking. When big things change, related things also change. She was a ball of stress, and there wasn’t much she could do other than manage it while the stress-makers resolved themselves. I chuckled when she said that. Obviously, anything that makes you want to throw up won’t reduce your stress—let alone give you a smile. We know that our happiness changes as we change, but we usually don’t think about happiness that way. It’s easy to understand that the act of walking no longer gives us the same exuberance it did the first time we tried it. But imagine how happy we’d be if we valued every step we took with even half the excitement that we did when we took our first steps. Age, experience and unexpected events are usually the catalysts that redefine what makes us happy. 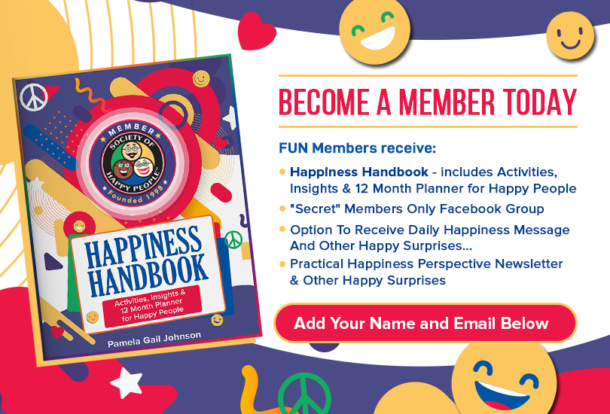 When I started the Secret Society of Happy People, over two decades ago, our original slogan was, “Are You Happier Than You Admit You Are?” The Society wanted people to pay attention to what they were talking about. For example, were they talking about their happy moments as much as they did their unhappy ones? Did they do it with the same zest and enthusiasm they talked about their happiness zappers with? One day, it occurred to me that if I wanted people to talk more about happiness, they first needed to recognize more happiness.